Portland is an incredible city for driving enthusiasts. From the winding hills of Sam Jackson Park Road on Marquam Hill through the West Hills, it’s a city that can really put your vehicle through its paces. Smooth shifting from your transmission is vitally important, and no matter how well you take care of it, eventually you’ll need transmission repair in Portland. 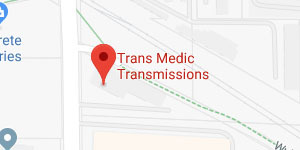 When you want expert level Portland repair work from a shop that focuses exclusively on your transmission, you want Trans Medic Transmission. Doing so allows us to determine exactly what the areas within your transmission are causing your problem. An inspection from a master transmission repair technician will provide diagnostic confirmation. We value your vehicle and want to save you money, so you can be guaranteed we will always look for the opportunity to repair your transmission before performing a rebuild. If we can perform transmission repair in Portland while leaving your transmission in, it saves you both time and cost. 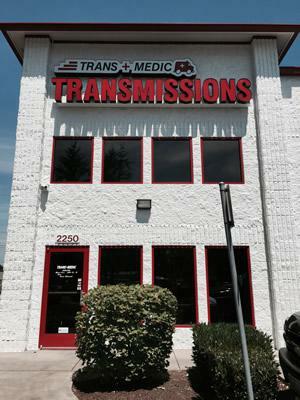 Our on-site domestic and foreign transmission repair specialists know exactly what to look for. So no matter where your vehicle is from, you get the services of a technician who specializes in working on it. 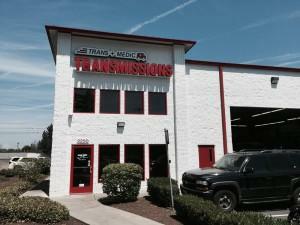 When you need a transmission rebuild, look no further. Our professional technicians possess a staggering 60 years of combined experience. As some of the best technicians in the industry, they can work on any transmission type. That includes diesel transmission repair as well. Providing you with the solution that requires the lowest cost and down time is always our primary goal. Remove and disassemble your entire transmission for a detailed inspection of parts in order to identify those that are worn or damaged. Use quality alternative to replace all worn and damaged parts. Use new gaskets, seals, clutches, and bands while reassembling your transmission to its original factory specs. Re-install your rebuilt transmission and perform quality completion testing procedures. We even work on your performance transmission in Portland and do clutch jobs. With extensive warranty coverage that includes Extended After-Market Warranties as well as Nationwide Warranties you’re covered. We even provide car rentals and local shuttles while we work on your vehicle. For incredible transmission repair in Portland, Call (503) 667 – 8242 or Contact us today.